It’s that exciting time of year again when concert venues across the world announce the sensational array of orchestral shows that make up their new season. And none of them are as impressive as the 2017/18 International Concert Series at St David’s Hall! Plus, they are all on sale NOW! With visiting orchestras and ensembles from St Petersburg to Stuttgart as well as some of UK’s finest, we’re sure you’ll want to experience the thrill of classical music at the National Concert Hall of Wales. Starting the season in style is the St Petersburg Orchestra (Tues 17 Oct, 7.30pm) with a powerful programme of Mussorgsky and Tchaikovsky. Mussorgsky’s magical A Night on the Bare Mountain evokes images of witches cavorting on Midsummer’s Night, whilst Tchaikovsky’s Symphony No. 4 is full of fevered intensity and Slavic passion. 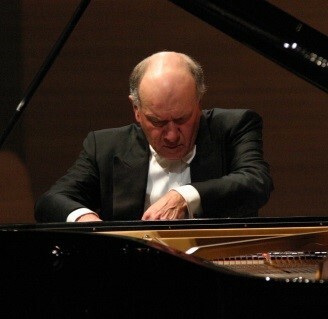 Plus, Tchaikovsky’s Second Piano Concerto is a rarely performed treat and offers a fascinating centre-piece featuring iconic soloist, John Lill CBE. 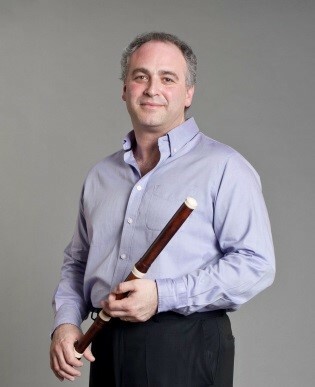 Then it’s time to indulge with The Hallé (Weds 1 Nov, 7.30pm) led by masterful Conductor, Sir Mark Elder. Ravel’s Spanish-Basque heritage is heard in the exotically charged Rapsodie Espagnole and the wonderfully moving Bolero. Plus, his magnificent reinterpretation of Mussorgsky’s Pictures at an Exhibition breathed new life into a classic, and soon became the better-known arrangement. Later that month the Welsh National Opera Orchestra (Thurs 23 Nov, 7.30pm) return to the Hall with four richly-scored and impassioned songs by Gustav Mahler in Lieder eines fahrenden Gesellen (Songs of a Wayfarer). Conversely, Shostakovich’s Leningrad Symphony resonates with the rhythms of war as a symbol of Russian defiance against German forces. The above three concerts form part of the city-wide R17 Festival, which marks the centenary of the Russian Revolution and captures the social and cultural explosion of the era. 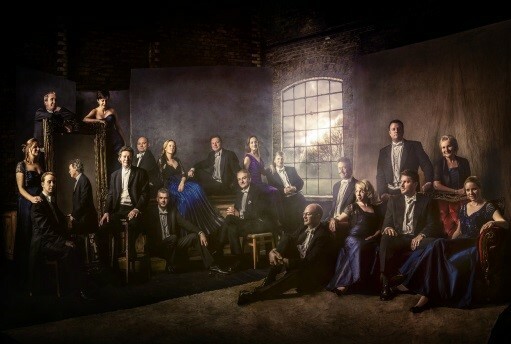 The festive calendar at St David’s Hall wouldn’t be complete without The Sixteen (Sun 17 Dec, 3pm) whose annual Christmas concert combines seasonal hymns, traditional favourites and imperishable Renaissance masterpieces. Into the New Year, and the Welsh National Opera Orchestra (Sun 14 Jan, 3pm) are back for an afternoon of Romantic classics. Beethoven’s Egmont Overture never fails to impress, whilst Mendelssohn’s Violin Concerto is a work of breathtaking originality. Dvořák’s New World Symphony provides a suitably rousing conclusion to this captivating concert. Florilegium (Thurs 25 Jan, 7.30pm) are one of today’s most sought-after period instrument ensembles and they deliver Bach’s complete Brandenburg Concertos. These are some of the most uplifting works of the Baroque era, and each concerto is scored for a different instrumental combination. The following month sees the return of the Philharmonia Orchestra (Sun 18 Feb, 3.30pm) with a programme that traverses the Classical to Romantic periods via the exhilarating energy of Beethoven’s First Piano Concerto and the gripping drama of Mahler’s Fifth Symphony. There’s more Beethoven in store too with Swr Symphony Orchestra Stuttgart (Weds 14 March, 7.30pm) as Sir Roger Norrington directs epic performances of the iconic German composer’s Creatures of Prometheus Overture, Third Piano Concerto and Eroica Symphony. Likewise, lauded pianist Angela Hewitt (Sun 8 April, 3pm) also pays tribute to one of the German greats in The Goldberg Variations. 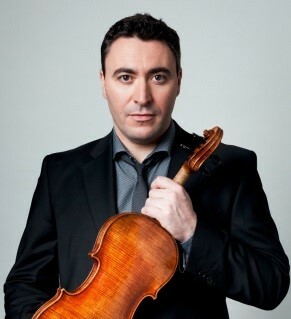 These pieces represent Bach at the peak of his powers and are performed by one of the leading interpreters of his work. Furthermore, there’s another celebration of dramatic German masterpieces as the City of Birmingham Symphony Orchestra (Sat 14 April, 7.30pm) perform classics from Wagner and Schumann before Beethoven’s Fifth Symphony delivers a rousing crescendo. The Welsh National Opera Orchestra (Sun 29 April, 3pm) make their third and final appearance of the season with an exciting interpretation of Prokofiev’s enchanting ballet, Cinderella. The Quarrel of the Ugly Sisters, Cinderella’s Waltz and the memorable Midnight Hour are among the Suite’s highlights. There’s an extra helping of Prokofiev too from the Philharmonia Orchestra (Fri 18 May, 7.30pm) led by the legendary Vladimir Ashkenazy. The dreamy lyricism of Prokofiev’s First Violin Concerto is juxtaposed with his Cantata for the 20th Anniversary of the October Revolution – a seldom performed work written for gargantuan choral and orchestral performance. 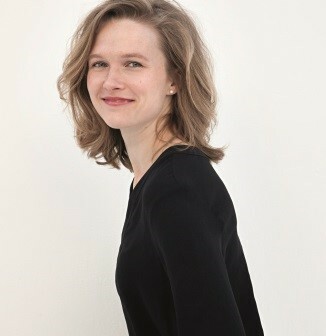 Lastly, the Würth Philharmonic Orchestra (Sun 10 June, 3.30pm) provide a fitting finale to the season. Sparkling tunes infuse Strauss’s much-loved operatic Die Fledermaus Overture, whilst Max Bruch’s evergreen First Violin Concerto is celebrated for its nobility and romantic fervour. Musical fireworks colour Saint-Saëns’ showcase for the violin, but darker emotions underpin Tchaikovsky’s final symphony Pathétique – his farewell to the form completed just a few weeks before his death. If you don’t want to miss a second of this amazing orchestral action, why not become a subscriber and save up to 20% on your concert-going? Not only will you be supporting one of Europe’s finest acoustic concert halls, you’ll also be able to sit back and relax knowing a year’s worth of wonderful music is stretching out in front of you! Alternatively, if you’ve never experienced the thrill of an orchestra at full flow, why not test the waters from as little as £10? 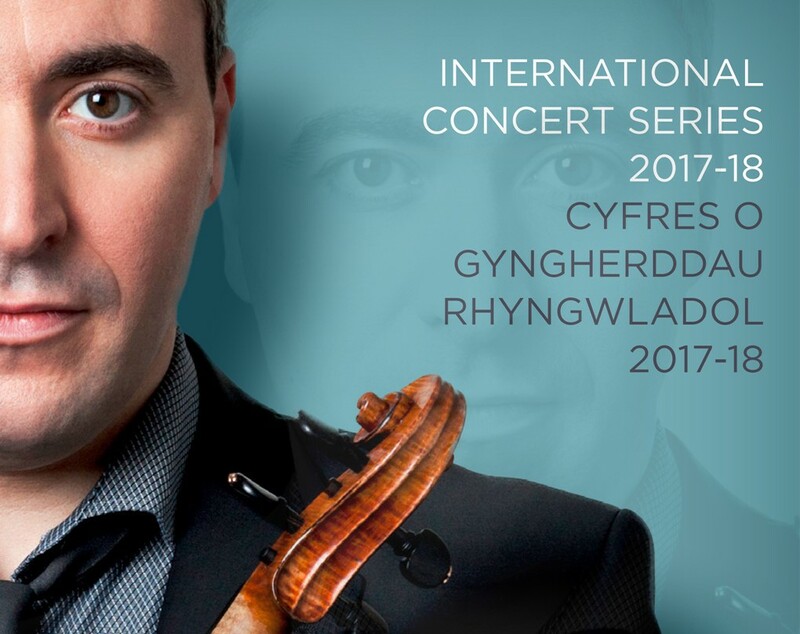 St David’s Hall is committed to promoting orchestral and classical music to as wide an audience as possible, so this introductory price for the International Concert Series won’t break the bank. Who knows, you may just love it! PLEASE NOTE: The Sixteen (Sun 17 Dec) and Angela Hewitt (Sun 8 April) are not part of the ICS season subscription package. *Please note, concessions not available on Platinum or introductory tickets. **Only one discount may apply to each ticket and proof of entitlement is required upon ticket collection. ***Prices above are for all ICS concerts except for The Sixteen and Angela Hewitt (£25 standard price, £19 concessions & £5 students). All bookings are subject to an optional £1 postage fee.